Entertaining Elliot: Christmas....that's it for another year! I hope you've all had a brilliant Christmas - ours has been quiet, but fun. And filled with LOTS of new toys...and the mess that brings with it!! 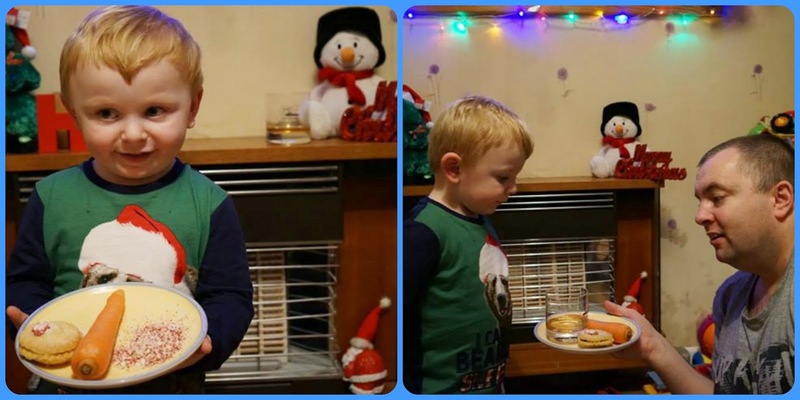 Before bedtime we made sure to leave goodies out for Father Christmas - a mince pie for him and a carrot for Rudolf. I asked Elliot what drink Father Christmas would like and he couldn't decide between beer and coffee (!!) but we went with whiskey in the end. The good stuff too....only the best for Father Christmas! Christmas morning started at 7.30am for us so not too early and Elliot was very excited to find a stocking full of little presents on his bed. After ripping them open with lots of "Ooohs!!" he ran into the lounge to see that Father Christmas had been! The look on his face was priceless and he was so excited at the pile of presents for him. He loved his Scuttlebug and spent ages whizzing around on it! We had a lovely Christmas dinner cooked by my husband (he does the best roasts!!) and then spent the afternoon celebrating with my family. 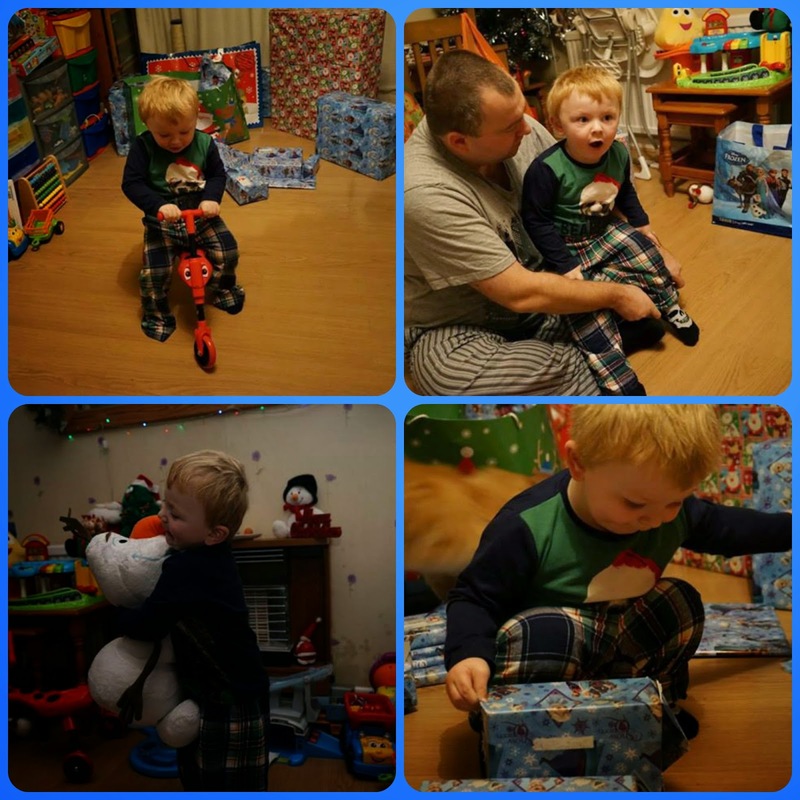 Elliot was thoroughly spoilt and got so many lovely presents. He was particularly keen on the farm and animals and his Grandad had to open this ASAP! Christmas was extra special this year as both my sisters were home. My middle sister spent last Christmas on a ship in the middle of the Antarctic volunteering for Sea Shepherd so this year was very different for her and I think she was very happy to be having a Christmas on dry land! After over indulging over the Christmas period, we felt the need to get out for a walk but unfortunately Boxing Day the weather was terrible. Luckily the following day was cold, crisp and dry (well for a short time anyway!). We wrapped up warm and went for a walk along one of our favourite places, Poole Quay. The views out across the harbour are lovely and it always makes me so grateful to live somewhere as beautiful as Dorset! 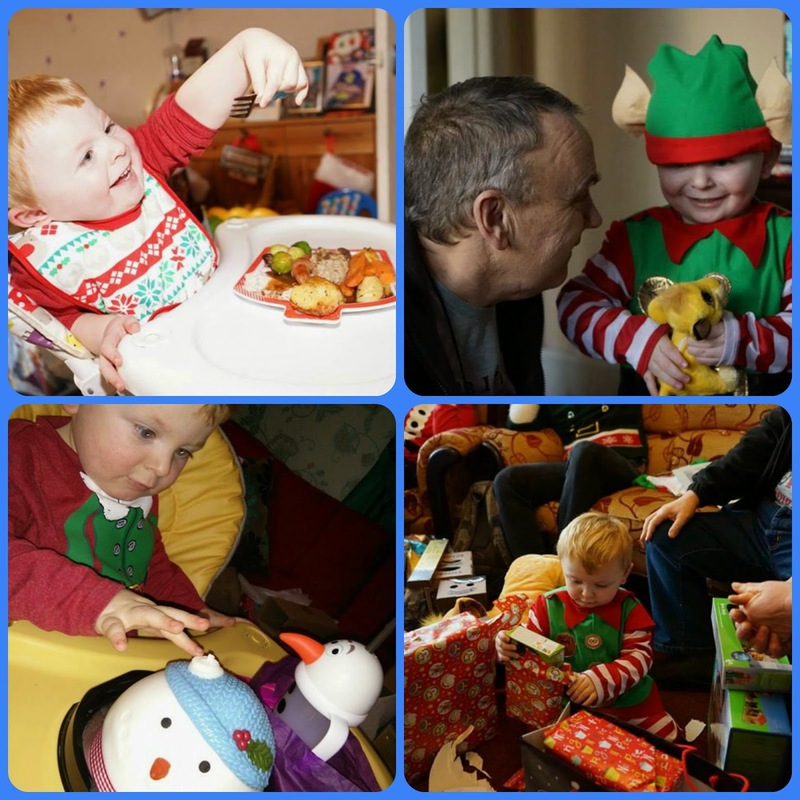 What were your Christmas highlights? Merry Christmas! What a lovely family celebration. 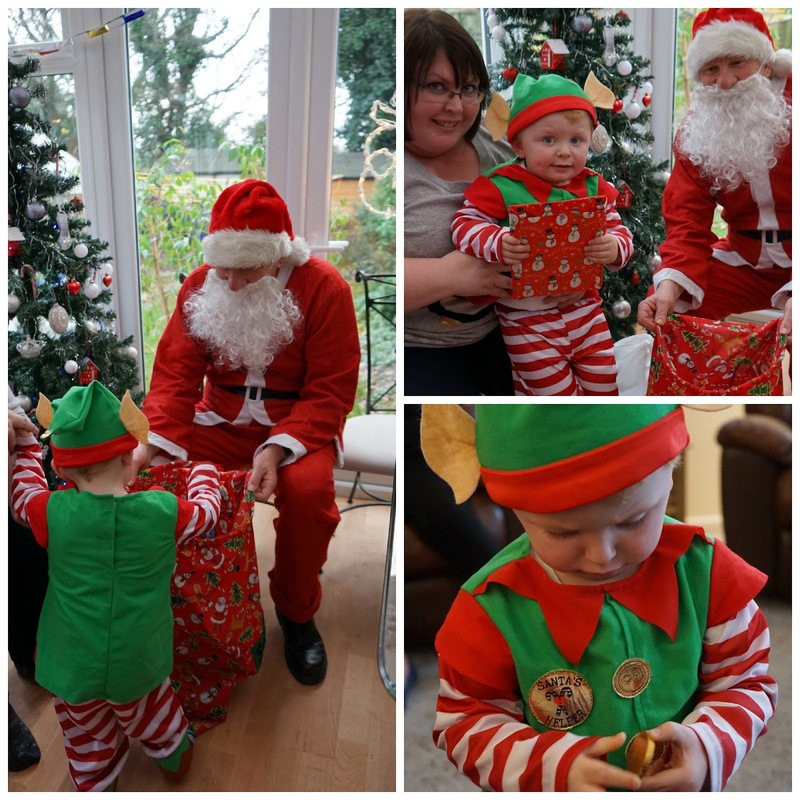 I loved the idea of a toddlers' Christmas party! 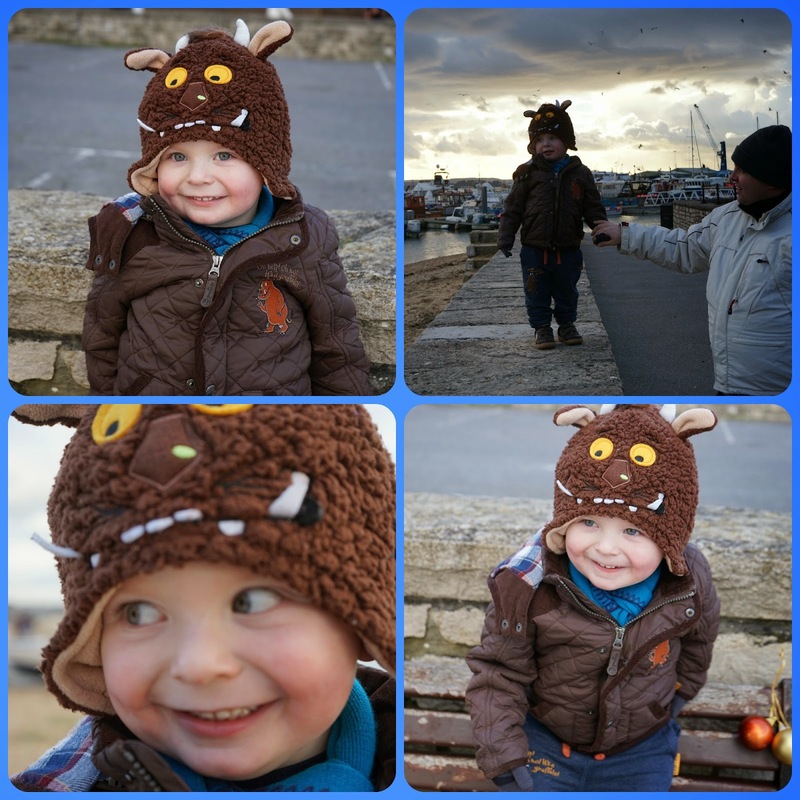 The pictures are so cute and I'm really taken with the Gruffalo hat in the last ones.